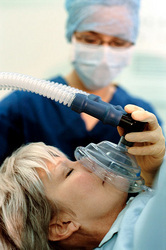 Laughing gas, or nitrous oxide, has more names than any other sedation technique. For example, it's also known as inhalation sedation, relative analgesia, RA, sweet air, and happy gas. It is a chemical compound with the formula N2O. 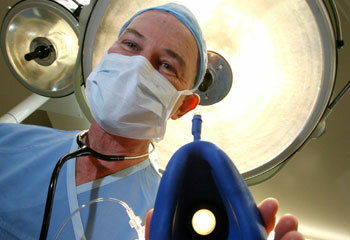 Nitrous oxide is simply a gas which you can breathe in. It has no color, smell, and doesn’t irritate anything. It was discovered in 1772 by Humphrey Davy, one of the founders of N2O experimentation. Laughing gas was the drug of choice for young people in the late 1700s and early 1800s. Laughing gas demonstrations were also a popular source of entertainment and enjoyment. It became an instant hit as a recreational drug among the British upper class; "laughing gas parties" were arranged. The most common use for laughing gas is to sedate dental patients. It is estimated that approximately 35% of U.S. dentists use this laughing gas to relieve pain and and dental anxiety. Eliminating dental anxiety is the main goal of laughing gas, making the patient more comfortable and allowing the dentist to complete the dental procedure effectively. Some people using laughing gas for the first time will feel they are not getting enough "air," even though they are still breathing in 100% oxygen. The signs and symptoms that most patients experience include a feeling of light-headedness at first, gradually turning into an overall feeling of warmth and a comfortable "vibrating" sensation. Laughing gas can, in fact, make people laugh and giggle out loud. Nitrous oxide works very rapidly; it reaches the brain within 20 seconds, and the relaxation and pain-killing effects develop after 2 or 3 minutes. The amount of sedation administered can be changed from moment to moment, allowing the person who administers the gas to increase or decrease the dose of sedation. Other sedation techniques, such as pills or drugs, have to last for a specific span of time. Laughing gas, however, can be given for the exact time span it is needed for. There's no "hangover" effect; the gas is eliminated from the body within 3 to 5 minutes after the gas supply is cut off. In addition, no injection is require. In case you have severe needle phobia, getting laughing gas first can help you feel relaxed enough to allow a needle to be inserted into your arm or hand. Laughing gas is fed through a tube to which a nasal hood is attached. This hood is placed over your nose, and all you have to do is breath normally. Many times, the inside of the hood comes with a lots of delicious scents, such as strawberry, vanilla, and mint.